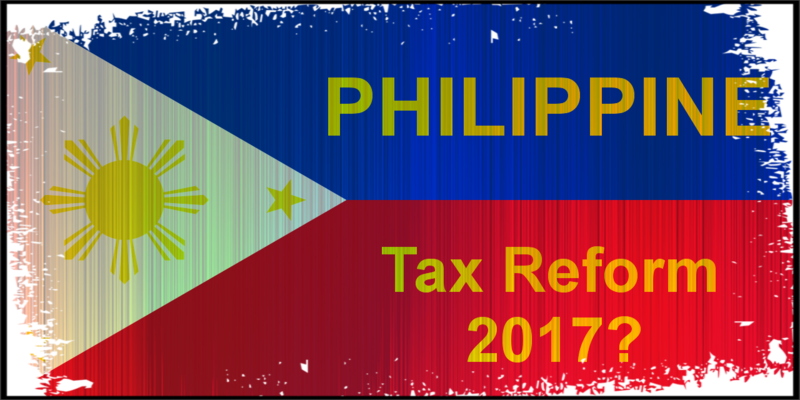 [Update: The Philippine Senate released their own version of the First Package of the Philippine Tax Reform. You can read about how it differs from the original House version by clicking here]. With a promise that the Package 1 of the 2017 Philippine Income Tax Reform will be out before the year ends, employers may expect a few changes in their payroll calculations soon. As we start to enter the “ber” months, now—as good as any—is the best time to learn what the changes will be. The upcoming Philippine Tax Reforms in 2017 come in five packages with each one targets a specific change in the current tax system. The first package, which is set to be out in the third or fourth quarter of this year, includes a simplification of the tax system for employees in different salary tiers and new tax rate for fringe benefits. Part of the main idea behind Package 1 is to give more spending power to the employees by either exempting or lowering their personal income taxes. The first package along with the rest of the new tax schemes target to be implemented at the later part of 2017 and will go on until 2019. On 2020 until an undisclosed year, the rates will undergo another shift where taxes are lowered even more. 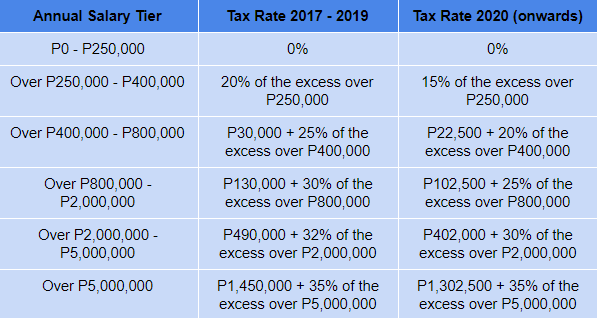 Aside from the new tax rates, the tax reforms also include a new 30% taxation on fringe benefits. The rate is applied to the gross monetary value of the fringe benefits that employees receive from the employer. Life or health insurance and other non-life insurance premiums or similar amounts in excess of what the law allows. In 2022, the fringe benefits will be factored in the gross income of the employee, which mean that it would be subjected to income tax rate deductions. For those who manually process their payroll, the biggest change is using the updated income tax table. The payroll administrators need only to adjust the formula they use for their calculation for the income tax and fringe benefits. administrators should stay on top of the news to know when or if the first package is approved to avoid erroneous payroll calculations. Also, payroll administrators should be cautious on the online payslip checker they use, as not all are automatically updated once or if the tax reform got the green light. Companies who use a software to process their payroll should contact their provider just to make sure that the new payroll algorithm is in effect, especially if no announcements have been sent out from their part. It is easy to assume that the payroll software provider would send a patch or an update with the changes, but there is no harm to double check with them. Employers who chose to outsource their payroll processes should get in touch with their service provider to make sure they are updated with the changes. It is always better to confirm than assume that they know and are implementing the tax reform changes. Per Anna Alcance, a CIPP certified Payroll Genius, the main changes on how payroll is processed are in the calculation part unless there are any rectifications in the proposed tax reforms. Other mandatory practice such as the submission of employee reports to the BIR remains the same. At this moment, Package 1 of the 2017 Philippine Tax Reform is still waiting for the approval of the Philippine Congress. They are still debating and studying the possible effects of the tax reforms. The first package also includes new and reforms in existing taxes on automobiles, fuel, sugar-sweetened beverages, and estates. JustPayroll.ph offers enterprise-grade payroll software, premium biometric devices, and superior outsourced payroll services. Discover how easy payroll can be by choosing us, simply fill out the form below to get in touch with our payroll customer care.